I guess it's not a spoiler as it's pretty bloody obvious what this film will be about. 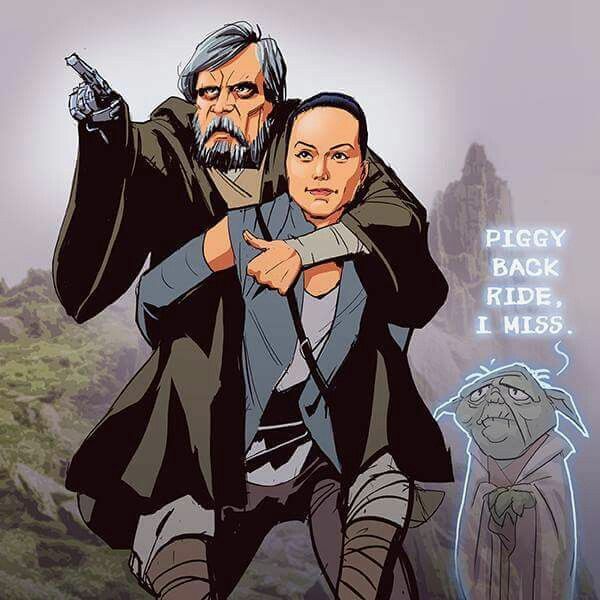 I wonder if Rey will have to lug Luke around in a backpack?!! Doesn't sound very exciting but I bet it will be great. Looking forward to it. Who will be the last Jedi though, Luke or Rey? Jedi is plural for jedi so I guess it doesn't necessarily mean one person. "But with the blast shield down, I can't even see! How am I supposed to fight?" They are picking up the film straight after TFA aren't they? So unless Luke is killed off then will that not refer to him? The last Jedi. Twice in three films maybe, but the other way to look at it is twice in twelve years, not so bad there. Two months from now they'll change the title to THE PENULTIMATE JEDI and this poster will become a collectors item.